This is sometimes hard to believe, especially when terrible things happen. 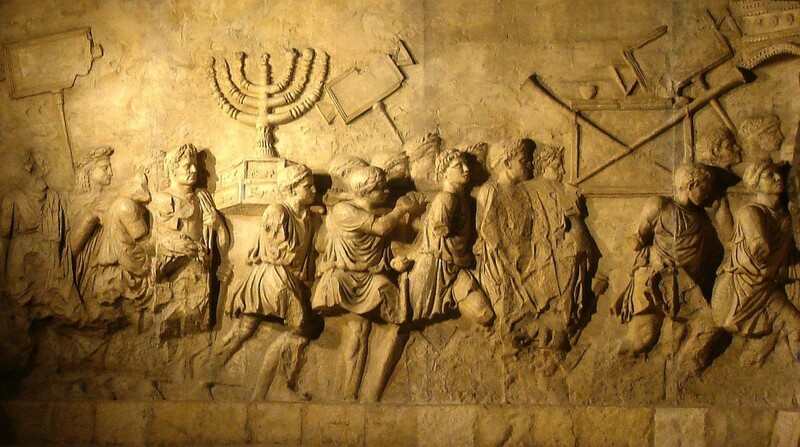 Interestingly, Jesus discussion about his unity with the Father takes place against the background of one such terrible thing, the desecration of the temple in Jerusalem by Antiochus IV in 167 BC. What did it say about God that he didn’t stop it? How was God going to keep his promise to bless all nations through Abraham’s children when their land was occupied and their temple desecrated? Yet Jesus floods this event, remembered at the Feast of Dedication (v.22), with meaning and purpose by showing us how it points to his own death, the desecration of the true Temple, the crucifixion of the Son of God. A once meaningless event suddenly makes sense, the same God who allowed the Abomination of Desolation is the same God who gave himself freely on the cross. It was not just a random event, but one that prepared the way for the Messiah, and revealed to the people of Israel just how God was going to fulfil his promises. Application 1: We can be confident that Jesus is Lord over all things. The whole of history is under his lordship, everything happens for a purpose and he is ruling in such a way as to bring everything to its fulfilment. This should give us great peace and confidence when we see bad things happening in the world around us. Indeed, Jesus warns us that before the end another abomination of desolation will occur (cf Matt 24:15, 2 Thess. 2:4), yet he is still Lord and we can have confidence in Jesus’ power and God’s love for us and the world. Application 2: In our own circumstances we can know that nothing that happens to us is purposeless. Sometimes we imagine that God’s sovereignty leaves us with no choice but muttering lamely “God moves in mysterious ways” when we are suffering. But quite the opposite is true. Knowing that God is in charge enables us to relate to him honestly and fully, we don’t have to pretend everything is OK when it’s not. We can boldly asking him, “Why?”, confident in his love and in the fact that God’s love is at work in everything that happens to us. Even more than that, because he is always in control, we can be confident that God is able to do the impossible, just as he has done in the past and rescue us when all other hope is gone. Application 3: We can be confident in God’s ability to bring us to perfection in Christ. Often we are most overwhelmed not by our circumstances but by our own sin and weakness. The bible’s description of salvation compounds the problem, we are not just forgiven, but recreated, set free from sin, made children of God and united to Christ so that we will one day be like him! When we look at our own shortcomings it seems impossible that we should ever live up to that. Yet just as Jesus is Lord of creation, so he is our Lord and the same power that was at work in him to raise him from the dead is at work in us to bring us to eternal life. No matter how we fail, where we are in our Christian life, what is in our past, what weaknesses we see or sins we struggle with, God’s mighty power is bringing us ever closer to a fuller more glorious knowledge of him.